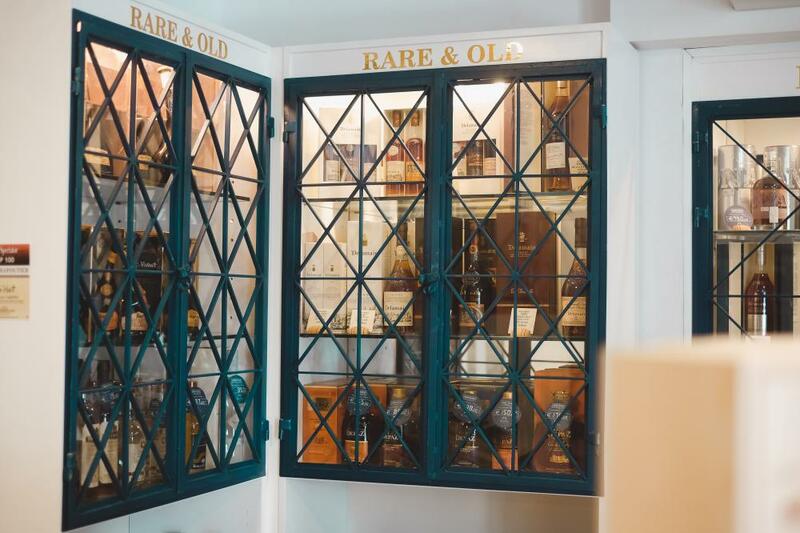 Our team of experienced and knowledgeable professionals select the wines and spirits we represent very carefully based on the strictest quality criteria. 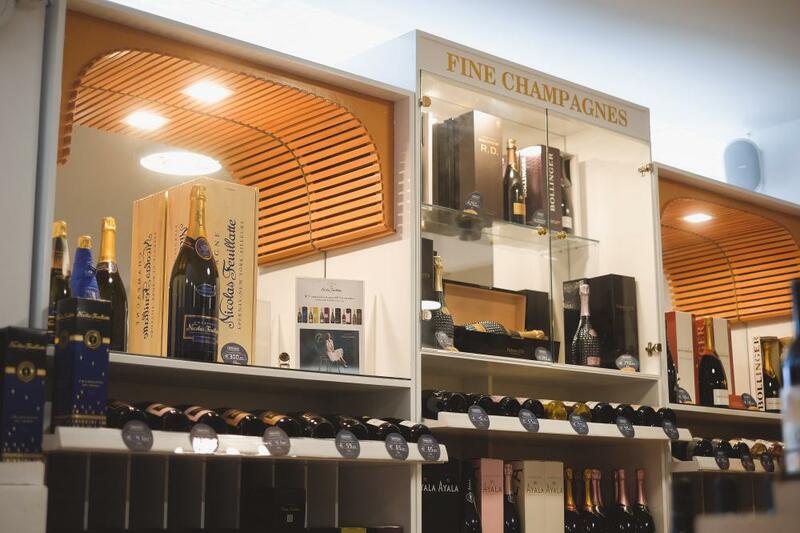 We aim to offer to our customers and wine enthusiasts alike exceptional value for money products and services. 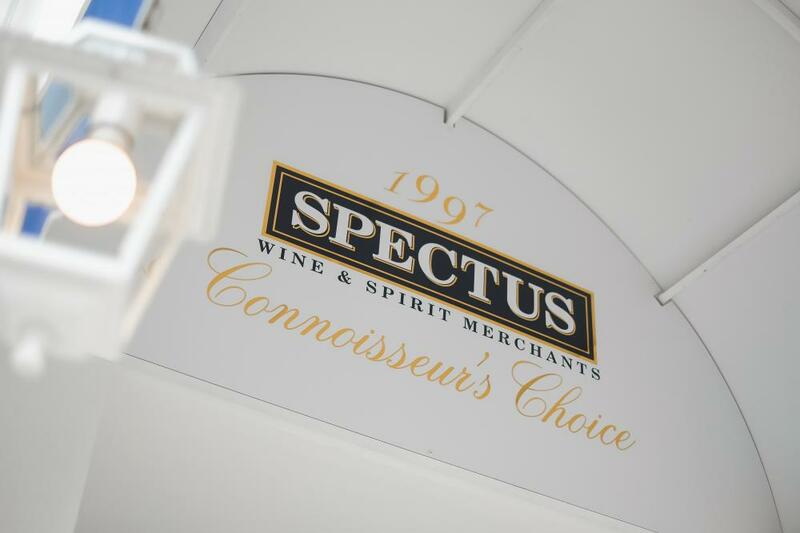 Our services include among others the SPECTUS Wine School, the most successful wine educational institution in Cyprus, Wine Cellaring Service and Online Shop with nationwide delivery service. 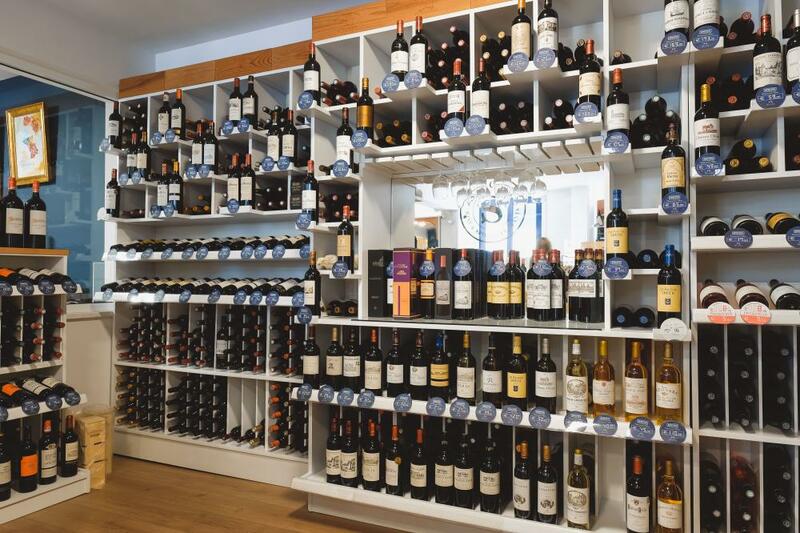 Excellent wine collection, very well priced. Visit their website, they have very good promo's there. This Service is provided to individuals who are at least 18 years old or minors who have parental permission to open and maintain an account. BY CLICKING THE 'SIGN UP!' BUTTON AND COMPLETING THE REGISTRATION PROCESS, YOU ARE STATING THAT YOU ARE ELIGIBLE FOR AN ACCOUNT AND THAT YOU AGREE TO BE BOUND BY ALL OF THESE TERMS AND CONDITIONS OF THE SERVICE. To Sign UP for membership, you must complete the registration process by providing us with current, complete and accurate information as prompted by the Registration Form. If any information is found to be false, Cyprus Best Companies reserves the right to terminate any agreements with the user. You then will be given a password and an account login name. You are entirely responsible for maintaining the confidentiality of your password and account. Furthermore, you are entirely responsible for any and all activities that occur under your membership account. You agree to notify Cyprus Best Companies immediately of any unauthorized use of your account or any other breach of security. You agree that Cyprus Best Companies may access your account, including its contents, or to respond to service or technical issues. As a condition of your use of the Service, you warrant to Cyprus Best Companies that you will not use the Service for any purpose that is unlawful or prohibited by these terms, conditions, and notices. By way of example, and not as a limitation, you agree not to: Defame, abuse, harass, stalk, threaten or otherwise violate the legal rights (such as rights of privacy and publicity) of others. Cyprus Best Companies has no obligation to monitor its Services or any user's use thereof or retain the content of any user session. However, Cyprus Best Companies reserves the right at all times to monitor, review, retain and/or disclose any information as necessary to satisfy any applicable law, regulation, legal process or governmental request. THE LINKS INCLUDED WITHIN THE SERVICE MAY LET YOU LEAVE THE SERVICE WEB SITES ('LINKED SITES'). THE LINKED SITES ARE NOT UNDER THE CONTROL OF CYPRUS BEST COMPANIES AND CYPRUS BEST COMPANIES IS NOT RESPONSIBLE FOR THE CONTENTS OF ANY LINKED SITE OR ANY LINK CONTAINED IN A LINKED SITE, OR ANY CHANGES OR UPDATES TO SUCH SITES. CYPRUS BEST COMPANIES IS NOT RESPONSIBLE FOR WEBCASTING OR ANY OTHER FORM OF TRANSMISSION RECEIVED FROM ANY LINKED SITE. CYPRUS BEST COMPANIES IS PROVIDING THESE LINKS TO YOU ONLY AS A CONVENIENCE, AND THE INCLUSION OF ANY LINK DOES NOT IMPLY ENDORSEMENT BY CYPRUS BEST COMPANIES OF THE SITE OR ANY ASSOCIATION WITH THEIR OPERATORS. CYPRUS BEST COMPANIES DOES NOT TAKE ANY RESPONSIBILITY FOR THE ACCURACY OR CONTENT OF ANY OF THE ADVERTISEMENTS ON THE SITE OR THE SITES THAT THEY LINK TO. MOREOVER, THE TERM “CYPRUS BEST COMPANIES” DOES NOT MEAN IN ANY WAY THAT THE LISTED COMPANIES ARE THE BEST COMPANIES IN THEIR RESPECTIVE CATEGORY. The information and services included in or available through the Service may include inaccuracies or typographical errors. Changes are periodically added to the information herein. Cyprus Best Companies and/or its respective suppliers may make improvements and/or changes in the Service at any time. Cyprus Best Companies does not represent or warrant that the Service will be uninterrupted or error-free, that defects will be corrected, or that the Service or the server that makes it available, are free of viruses or other harmful components. Cyprus Best Companies does not warrant or represent that the use or the results of the use of the Service or the materials made available as part of the Service will be correct, accurate, timely, or otherwise reliable. You specifically agree that Cyprus Best Companies shall not be responsible for unauthorized access to or alteration of your transmissions or data, any material or data sent or received or not sent or received, or any transactions entered into through the Service. You specifically agree that Cyprus Best Companies is not responsible or liable for any threatening, defamatory, obscene, offensive or illegal content or conduct of any other party or any infringement of another's rights, including intellectual property rights. You specifically agree that Cyprus Best Companies is not responsible for any content sent using and/or included in the Service by any third party. CYPRUS BEST COMPANIES AND/OR ITS RESPECTIVE SUPPLIERS MAKE NO REPRESENTATIONS ABOUT THE SUITABILITY, RELIABILITY, AVAILABILITY, TIMELINESS, AND ACCURACY OF THE SERVICE FOR ANY PURPOSE. THE SERVICE IS PROVIDED 'AS IS' WITHOUT WARRANTY OF ANY KIND. CYPRUS BEST COMPANIES AND/OR ITS RESPECTIVE SUPPLIERS HEREBY DISCLAIM ALL WARRANTIES AND CONDITIONS WITH REGARD TO THE SERVICE, INCLUDING ALL IMPLIED WARRANTIES AND CONDITIONS OF MERCHANTABILITY, FITNESS FOR A PARTICULAR PURPOSE, TITLE AND NON-INFRINGEMENT. You agree to indemnify and hold Cyprus Best Companies its parents, subsidiaries, affiliates, officers and employees, harmless from any claim, demand, or damage, including reasonable attorneys' fees, asserted by any third party due to or arising out of your use of or conduct on the Service. Cyprus Best Companies may terminate your access to any part or all of the Service and any related service(s) at any time, with or without cause, with or without notice, effective immediately, for any reason deemed appropriate by Cyprus Best Companies . Cyprus Best Companies may also terminate your account for inactivity, which is defined as failing to log into the Service for an extended period of time, as determined by Cyprus Best Companies . The amount of time that Cyprus Best Companies currently views as an 'extended' period of time is a first log-on to e-mail 10 days or later after registration and after an initial e-mail log-on, 90 days since your last e-mail log-on. Upon termination of the Service, your right to use the Service immediately ceases. If you wish to terminate your account, your only recourse is to discontinue the use of the Service. Cyprus Best Companies shall have no obligation to maintain any content in your account or to forward any unread or unsent messages to you or any third party. Cyprus Best Companies will immediately terminate any account which it believes, in its sole discretion, is transmitting or is otherwise connected with any spam or other unsolicited bulk e-mail. Any dealings with Advertisers on the Service or participation in promotions, including the delivery of and the payment for goods and services, and any other terms, conditions, warranties or representations associated with such dealings or promotions, are solely between you and the Advertiser or other third party. Cyprus Best Companies shall not be responsible or liable for any part of any such dealings or promotions. You acknowledge that content, including but not limited to text, software, music, sound, photographs, video, graphics or other material contained in either sponsor advertisements or electronically distributed, commercially produced information presented to you by the Service, by Cyprus Best Companies , or Cyprus Best Companies Advertisers or other content providers, is protected by copyrights, trademarks, service marks, patents or other proprietary rights and laws. You may make a copy of this content for your personal, non-commercial use only, provided that you keep all copyright and other proprietary notices intact. You may not modify, copy, reproduce, republish, upload, post, transmit, or distribute in any way content available through the Service and its associated Web sites, including code and software. This agreement is governed by the laws of the Republic of Cyprus. Use of the Service is unauthorized in any jurisdiction that does not give effect to all provisions of these terms and conditions, including without limitation this paragraph. You agree that no joint venture, partnership, employment, or agency relationship exists between you and Cyprus Best Companies as a result of this agreement or use of the Service. Cyprus Best Companies 's performance of this agreement is subject to existing laws and legal process, and nothing contained in this agreement is in derogation of Cyprus Best Companies 's right to comply with governmental, court and law enforcement requests or requirements relating to your use of the Service or information provided to or gathered by Cyprus Best Companies with respect to such use. If any part of this agreement is determined to be invalid or unenforceable pursuant to applicable law including, but not limited to, the warranty disclaimers and liability limitations set forth above, then the invalid or unenforceable provision will be deemed superseded by a valid, enforceable provision that most closely matches the intent of the original provision and the remainder of the agreement shall continue in effect. Unless otherwise specified herein, this agreement constitutes the entire agreement between the user and Cyprus Best Companies with respect to the Service (excluding the use of any software which may be subject to an end-user license agreement) and it supersedes all prior or contemporaneous communications and proposals, whether electronic, oral or written, between the user and Cyprus Best Companies with respect to the Service. A printed version of this agreement and of any notice given in electronic form shall be admissible in judicial or administrative proceedings based upon or relating to this agreement to the same extent and subject to the same conditions as other business documents and records originally generated and maintained in printed form. You and Cyprus Best Companies agree that any cause of action arising out of or related to this Service must commence within one (1) year after the cause of action arose; otherwise, such cause of action is permanently barred. The section titles in the TOS are solely used for the convenience of the parties and have no legal or contractual significance.